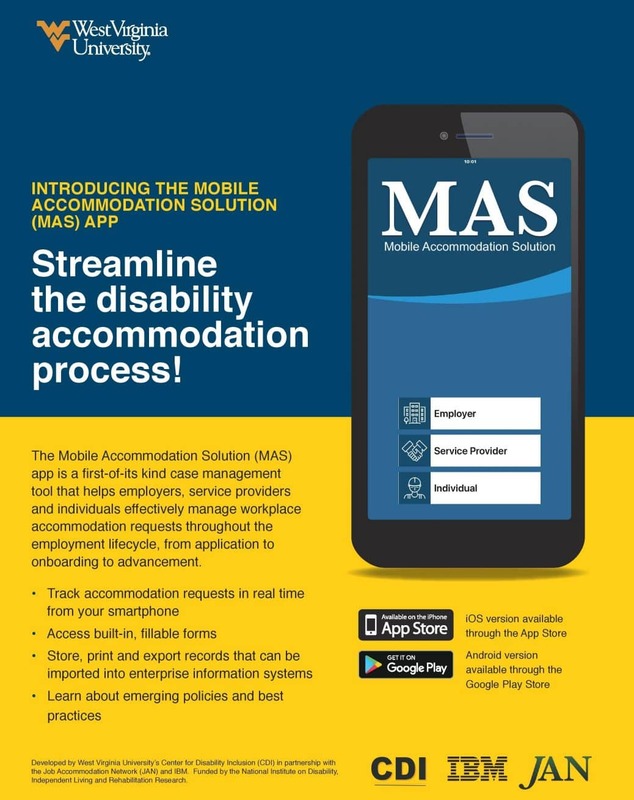 The Mobile Accommodation Solution (MAS) app – the iOS version of which is now available in the app store – is a first-of-its kind tool that helps employers and others manage workplace accommodation requests throughout the employment lifecycle. Using the app, employers can track the status of requests; access fillable forms; and store, print and export records that can be imported into enterprise information systems. 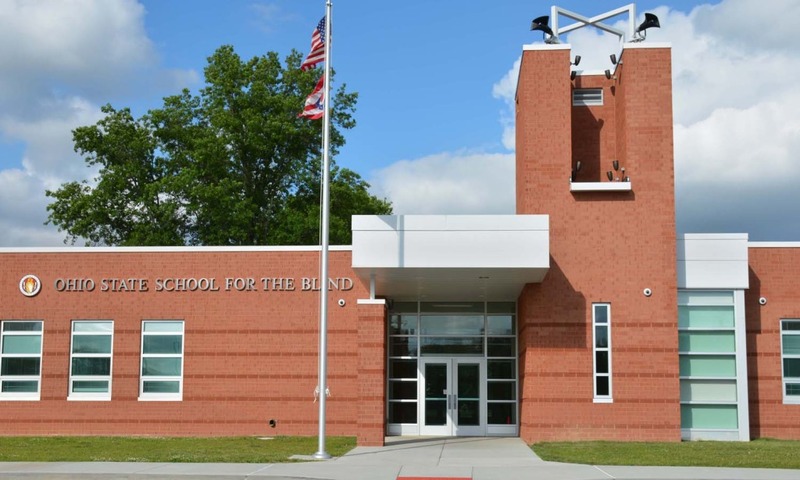 The app was developed by West Virginia University’s Center for Disability Inclusion in partnership with the Job Accommodation Network and IBM; funding came from the National Institute on Disability, Independent Living and Rehabilitation Research. The trichotillomania bracelet looks unassuming, just like any other smart technology worn around the wrist. But rather than counting steps or heartbeats, it serves another purpose. 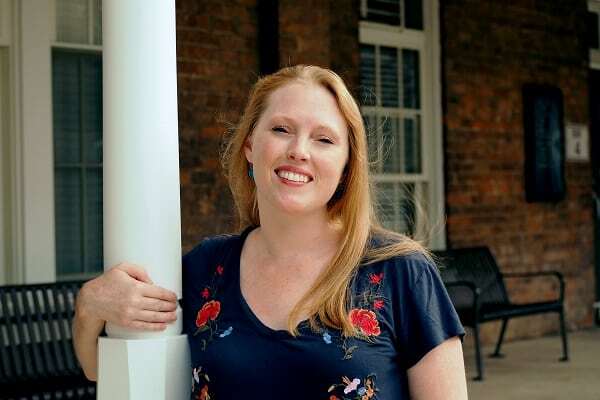 This tool, along with other technologies for the disability community, intrigues Ashley Shew, an assistant professor in the Virginia Tech Department of Science, Technology, and Society. 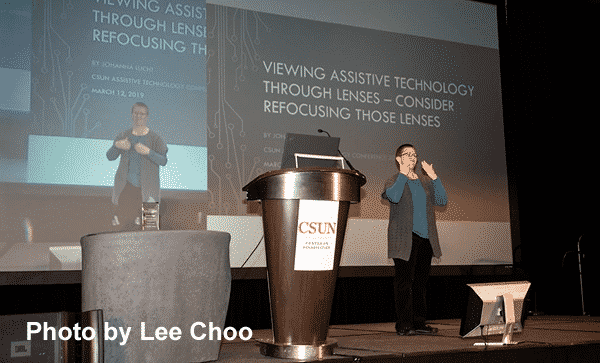 In July 2018, she received a National Science Foundation Faculty Early Career Development Award that will allow her to investigate the personal accounts of people with disabilities, as well as their opinions of the technologies designed for them. Shew co-edited Spaces for the Future: A Companion to Philosophy of Technology with Joseph Pitt, a Virginia Tech professor of philosophy. She is also the author of Animal Constructions and Technological Knowledge, published by Lexington Books/Rowman & Littlefield. Shew is the fourth faculty member in the College of Liberal Arts and Human Sciences to receive the prestigious National Science Foundation CAREER Award in the past several years. The Cox Communications new Contour voice remote, powered by Comcast’s X1 platform, empowers customers who have limited mobility or dexterity or a visual disability. With the push of a button, you can search, surf and record your favorite programs, all with the sound of your voice. Plus, the new Contour features Voice Guidance, a “talking guide” developed by Comcast, that speaks what’s on the screen, including program descriptions and navigation options. Now individuals with accessibility needs can easily explore thousands of TV shows and movies. This proactive step is not limited to their product offering. Cox is also hiring individuals with disabilities to test their products. Mona Lisa Faris, president and publisher of DIVERSEability Magazine spoke with representatives from Cox and Comcast to discuss how their collaboration is helping both companies become more proactive. Ilene Albert, Executive Director, Value Added Services and Diversity Products at Cox, began with some history behind this new focus at Cox. “Last December we launched a center of excellence for accessibility, to focus on developing products, support and services for our customers who have disabilities and accessibility needs. We are very excited about this; we work with all of our peers across the product organization to make sure we are looking at the broad picture of accessibility,” Albert explained. “We partner well with Comcast, who has been the leader in helping develop products for the accessibility community. Thomas Wlodkowski is the Vice President of Accessibility at Comcast. He was brought in to start up an accessibility office and, because he is visually impaired, he provides a unique perspective for Comcast, helping the company open products and services to the widest possible audience. New features were recently added just as Tom said, as Cox released a statement earlier this month announcing that YouTube is now available for Cox customers via their Contour app. As Tom Wlodkowski pointed out, “By building accessible products, it builds a better product overall for everyone.” Accessibility is a fairly new frontier, as more and more companies realize that dedicating teams to ensure accessibility not only improves the products offered to those with disabilities but it provides a better experience for all customers. Cox’s licensed version of Comcast’s X1 platform, Contour, is now its flagship video product.. And fans of The Voice who have Comcast or Cox as their cable provider will be happy to know they can now use their remote to cast their votes on the popular live show. The Contour/X1 technology is truly changing the television viewing experience, offering something for everybody to love! 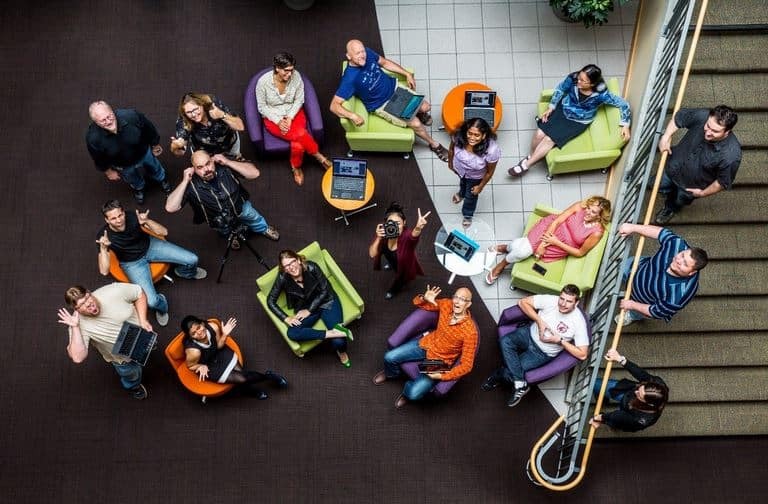 This week is the Microsoft One Week Hackathon, where employees from around the company work tirelessly to “hack” solutions to some of the world’s biggest challenges. 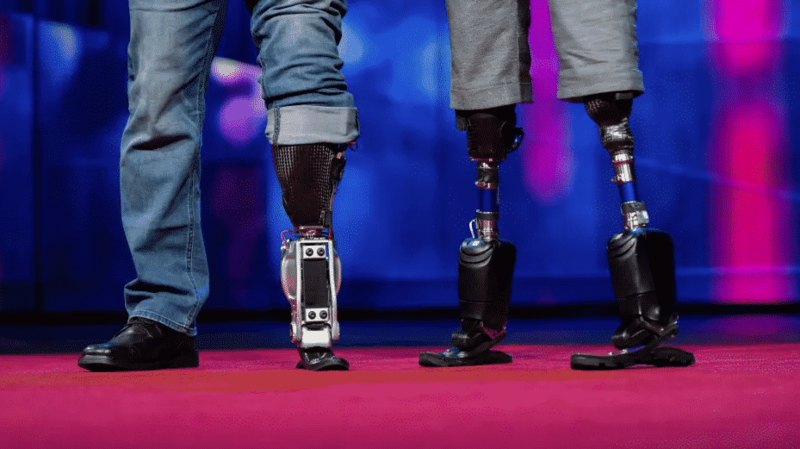 The opportunity to empower people through technology, particularly those with disabilities, has never been more important. Back in 2014, we had 10 ability hack projects, last year we had 150 projects and 850 people, and this year – well, it’s going to be exciting to see. This is a wonderful testament to our employees and their passion for innovation and conviction in the importance of empowering every person and organization to achieve more. What’s amazing about this story was the diversity of the team, which included developers, a reading team and a speech pathologist, working extensively with students and educators to create the product. 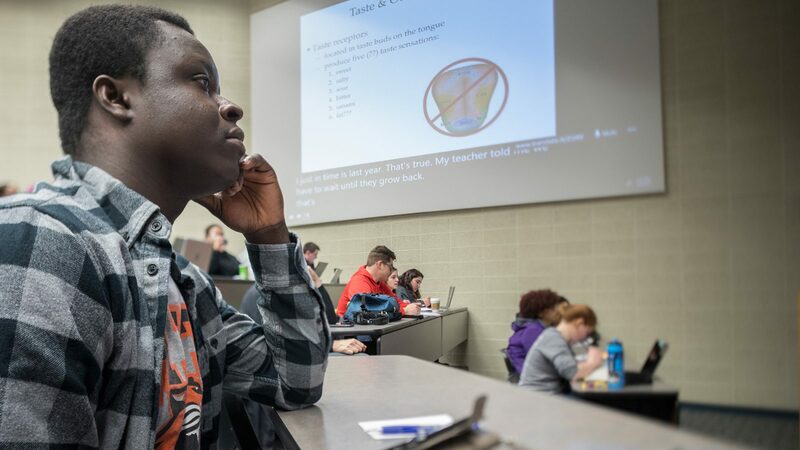 While originally created for folks with dyslexia, the Learning Tools team is seeing benefits to folks with dysgraphia, ADHD, English language learners and emerging readers. Today, Learning Tools is incorporated into apps, Office, and Edge, reaching 13 million active users in more than 40 languages. Like the Eye Gaze team before it, the Learning Tools team evolved from a passionate hackathon into a strategic business.You can even read “The Ability Hacks” using Learning Tools, just download the PDF and open in Microsoft Edge. Aligned with the first day of Microsoft’s One Week Hackathon, Microsoft will launch a new book which shares the behind the scenes stories of two Microsoft Hackathon teams who embraced their passion and pioneered two innovative hacks-turned-solutions used today by people with disabilities around the world. The Ability EyeGaze Hack team which led to Eye Control in Windows 10. The Learning Tools Hack team which led to Learning Tools in OneNote, Word, Outlook and Edge. The book includes a foreword by Corporate Vice President Peter Lee and an afterword by Chief Accessibility Officer Jenny Lay-Flurrie, and is available in paperback and Kindle at Amazon.com and for download on PDF and EPUB. We hope this book and the journeys these teams have been on, can help spark a conversation about the transformative power of technology, and encourage engineers and developers to build the next wave of inclusive technology. 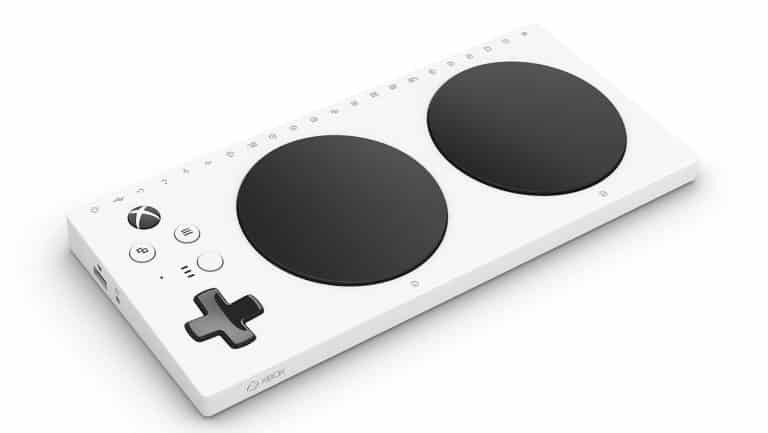 If you want to create products for people with disabilities, do check out our AI for Accessibility program, which provides access to advanced Microsoft Azure cloud computing resources and grants to individuals and organizations working on empowering people with disability across the world at https://www.microsoft.com/en-us/ai-for-accessibility. Continue on to Microsoft’s newsroom to read the complete blog. Continue onto The Hollywood Reporter to read the complete article. Last year, Long Cheng sat down with a group of engineers as they studied people using Pinterest. For Cheng, lead designer at the company, this sort of user testing was commonplace. But that day, something was different. The testers weren’t thirtysomething moms, or whatever stereotypical demographic pops in your head when you picture one of Pinterest’s 200 million users. They were people with a range of visual impairments, from macular degeneration to complete blindness. And Cheng wanted to see how well they could use the app. To his dismay, many couldn’t even get past the sign-up screen. People literally couldn’t even create an account. While iOS and Android each have an accessibility feature–called Voice Over and Talk Back, respectively–which read aloud the buttons and options on the screen for visually impaired users to navigate, Pinterest had failed to properly label its own user interface for this feature to even work properly. Similarly, when people did eventually get into the app, recipes read aloud would be missing steps or ingredients. People found themselves trapped inside pins, unsure how to escape. Even for partially sighted people, Pinterest design, with its minuscule type, was a challenge to discern. Blind people using Pinterest–the app for visual inspiration–may sound like an oxymoron. But in fact, Pinterest, like all mainstream apps, has a contingent of blind users (though the company admits to not tracking them). 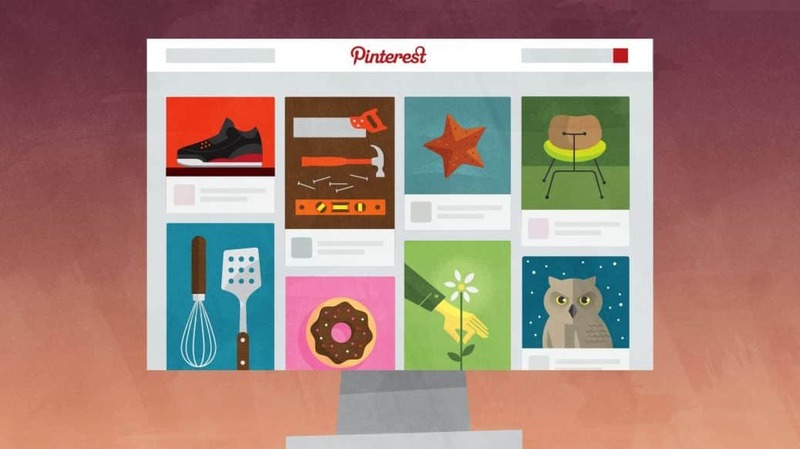 Many use Pinterest simply to bookmark stories on the web they’d like to read later. And those who don’t use the service might like to, if they were better welcomed. Over the past year, Pinterest has committed to practicing inclusive design, and making its product more accessible to everyone. With a team of a dozen designers and engineers, Cheng developed a multi-part approach to redesigning Pinterest as a product that could be more accessible to everyone, leading to a fully redesigned app and desktop experience that’s been slowly rolling out for months. As stragglers settle into their seats for general biology class, real-time captions of the professor’s banter about general and special senses – “Which receptor picks up pain? All of them.” – scroll across the bottom of a PowerPoint presentation displayed on wall-to-wall screens behind her. An interpreter stands a few feet away and interprets the professor’s spoken words into American Sign Language, the primary language used by the deaf in the US. Continue onto Microsoft’s Blog Room to read the complete article. Google (GOOG, -3.63%) said that it teamed with transit agencies to help it catalogue the best wheelchair-accessible routes. 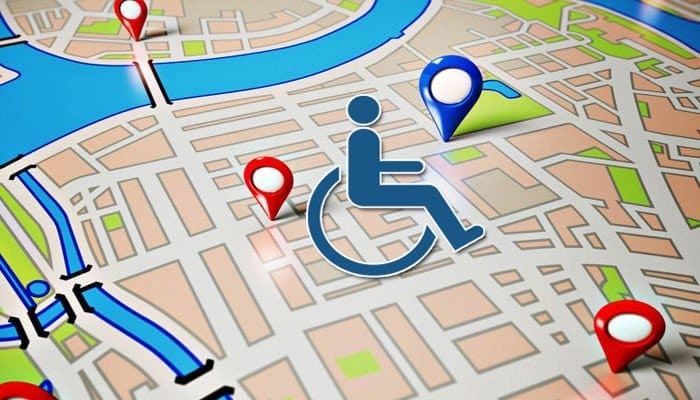 To find those routes, Google Maps users enter where they want to go, tap on the “Directions” tab, and then choose “wheelchair accessible” as one of the options under the “Routes” section.